Can I Get Spedra on the NHS or OTC? How Do I Buy it Online? Can I get Spedra on the NHS or OTC? Where Can I Buy Spedra Safely? Can I Get Spedra on the NHS or OTC? There are several options available for men with erectile dysfunction looking to buy Spedra. However, patients should remember that Spedra is a prescription-only medicine, and getting it through your primary care doctor may be subject to private costs. The quickest and most convenient way for men with ED looking to buy Spedra is probably to do so using an online pharmacy. 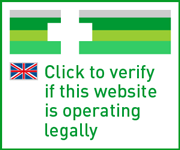 It is important when getting medication online to ensure the pharmacy you are using is genuine and operating legitimately. The treatment for ED typically issued on the NHS is Sildenafil, which is a generic form of Viagra. NHS doctors are typically required to prescribe generic medications where possible, and as there is no generic Spedra available (the branded medicine was only launched in 2014) it is not commonly prescribed in this setting. However, Spedra may be prescribed if the patient meets certain eligibility criteria, and if Sildenafil has not worked. If the patient is not entitled to ED treatment on the NHS (for free or at the levied rate), then they will need to have a prescription for Spedra issued privately. An NHS doctor may be able to issue a private prescription for Spedra following consultation, however a fee may be charged. Similarly, a high street pharmacy may be able to fulfil a prescription for Spedra but they will need to charge the market rate for the drug, as opposed to the levy rate. Is Spedra available over the counter? Because it is a prescription-only drug, prior consultation with a doctor is required before Spedra can be issued. This is because the medication is not suitable for everyone. Some persons with medical conditions may unable to use Spedra altogether, or only with strict caution. It also has the capacity to interact with other drugs, and as such a doctor will need to assess a patient’s medical profile to make sure it is safe and the risk of contraindications is minimal. 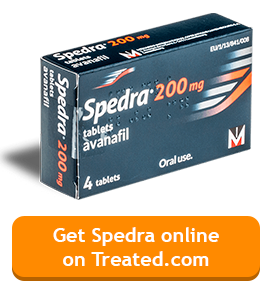 It is possible to buy Spedra using an online pharmacy. This, for many men, is the fastest and most cost-effective way of getting Spedra safely. There are a few things you should know about buying medication online beforehand however. The first is that Spedra’s prescription-only status applies whether you are buying it in person or online. Pharmacy websites therefore cannot offer the medication without asking you to provide a prescription, or providing a means to issue one. Many legitimate pharmacies now have a remote consultation facility attached to their service, which enables a doctor to assess the patient through a secure online correspondence. In such cases, an e-prescription is issued once the doctor is satisfied that the medication is appropriate for the patient, which is then fulfilled and delivered by the associate pharmacy. Another important aspect of buying online to keep in mind is that legitimate pharmacies will display their credentials on their site. Check that the address of the issuing pharmacy is listed, along with a phone number and contact details. One other fact to keep in mind is that no generic version of Spedra exists, so any site offering to sell it is doing so illegally. More information regarding safe buying practices can be located on our information pages.